Just like you, Margaret Feinberg longs to live in such a way that makes her feel fully alive. She suspects she's not the only one whose sense of splendor and delight has faded with the demands of modern living. What do we do when holy awe is replaced by unholy indifference? When hope is diminished to a manageable emotion? When love becomes a fleeting expression in short supply? 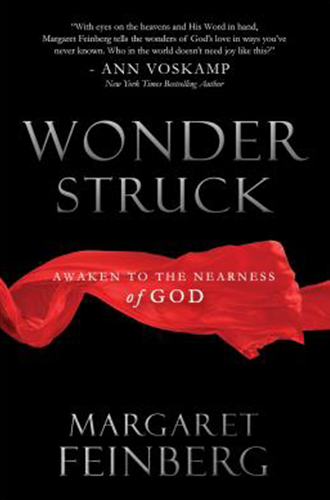 In Wonderstruck, Margaret invites you to toss back the covers, climb out of bed, and drink in the fullness of life. Learn to unearth the extraordinary moments in every day life, recognize the presence of God in the midst of your routine, and discover peace in knowing you're wildly loved. You'll find it is possible to regain the missing spark of mystery in the day-to-day. 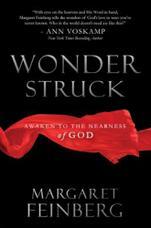 Winsome yet compelling, whimsical yet profound, the stories from Wonderstruck will inspire you to fall in love anew with God.